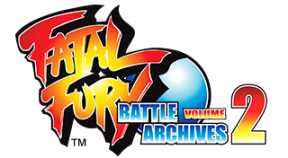 Earn an SSS rating in a single round of Real Bout Fatal Fury (Single Play). K.O. an opponent with at least a 10-hit Rush attack in Real Bout Fatal Fury (Single Play). Ring Out an opponent in Real Bout Fatal Fury (Single Play). Beat Real Bout Fatal Fury with any character. Defeat an opponent without taking any damage in Real Bout 2 (Single Play). K.O. an opponent with a Hidden Ability in Real Bout 2 (Single Play). K.O. an opponent from a Sway line in Real Bout 2 (Single Play). Beat Real Bout 2 with any character. Defeat a level 8 opponent in Real Bout Special. Reach 1,000,000 points in Real Bout Special. Defeat Nightmare Geese in Real Bout Special. Beat Real Bout Special with any character. Beat Real Bout Fatal Fury, Real Bout Fatal Fury Special, and Real Bout 2 on level 4 or higher.